PrintingBlue.com.au provides effective online printing solutions to its customers globally. 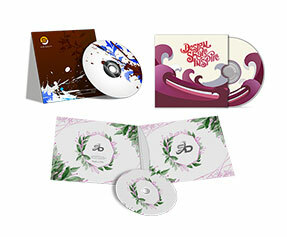 We are the largest provider of 2 panel CD jackets. Our exclusive 2 panel CD jacket for business products instantly captures the attention of customers. Use our fashionable and stylish 2 panel CD jackets as a display case for your personal or business CD's. 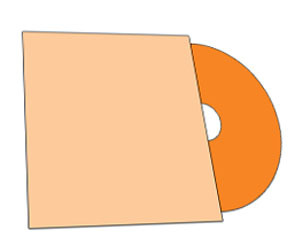 We know that the imperative data in portable CD's is of great importance to you so our safe 2 panel CD jackets can protect them and clearly identify each CD's contents. Our 2 panel CD jackets and 4 panel CD jackets are the most effective way of informing and spreading your corporate message to your potential clients. Our online printing services company has won the confidence of countless clients by producing high quality 2 panel CD jackets. We listen to our customers and believe that our success lays in the satisfaction of our customers. Our friendly 24/7 customer support representatives are a great support for availing our online 2 panel CD jackets printing services. You may contact them any time as they are capable of understanding all your requests. When they take an order, they transfer it to the design department at once. We have been creating elite designs for our customers for several years. Our expert team of graphic designers at the design department understands the business requirement of the concerned customers so they create distinct designs for 2 panel CD jackets that are inimitable. We serve free for design services and we offer cost effective solutions to our clients. In addition to these services, we offer free unlimited revisions of designs to make the design selection process easy for our customers. 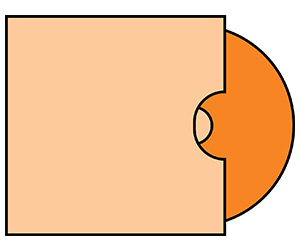 Once the customer selects a design, they are transferred to the printing department. We clearly print your 2 panel CD jackets. Using the latest technology of full color CMYK/PMS (Pantone Matching System) printing process, we print your personalized 2 panel CD jackets. Our digitally printed 2 panel CD jackets produce a striking effect. Once they are done with the printing, they are moved to the shipping department. Our shipping department comes into action when your customized 6 panel CD jackets are ready to be sent to you. You may depend on us because we take full responsibility of your 2 panel CD jackets. We offer free shipping to our esteemed customers and deliver the products at the right location and in time. 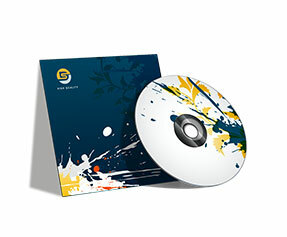 Our custom CD jackets are your best business marketing tool while saving your CD's from harm as well. You may get them any time you want as we are always out there to serve you our best.